Every so often Umami Burger partners up with celebrities to collaborate and launch speciality burgers to benefit research organizations. This year, the honor goes to Mindy Kaling, whose The Mindy Burger will benefit the Pancreatic Cancer Action Network. 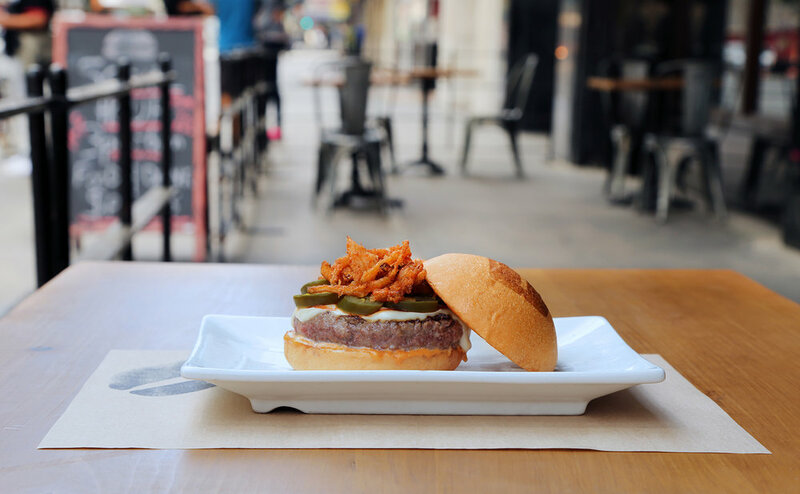 The Mindy Burger features Umami Burger's signature beef patty topped with pickled jalapeño, fried onion strings, and house-made Sriracha Aioli on Umami Burger's signature bun. It is available for $13 at participating Umami Burger locations nationwide. These collaborations that Umami does really is such a great cause so if you're in the mood for a burger, go check them out and support! For more information on Umami Burger, please visit umami.com. To learn more about the Pancreatic Cancer Action Network, go to pancan.org. Have you tried the burger yet? What did you think?